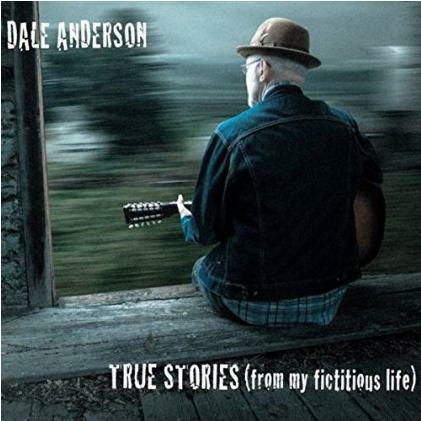 Veteran acoustic fingerpicking bluesman Dale Anderson delivers an interesting collection of roots and folk music in this tasty, self-produced CD, which intertwines autobiographical stories with tall tales about American life. Based in Wisconsin and a man whose deep love for early blues led him to be proficient on resonator guitar and the stylings of Willie Brown, Tommy Johnson and Bukka White, Anderson’s recording career began in the 1960s with the rock band Piper’s Sons and early contemporary Christian band Hosanna before a stint as a concert promoter. In the ‘90s, he served as lead guitarist in the Barb Bazuldua Band for a couple of years before going on the road as a soloist. His real fame came after teaming with drummer Mark Riggenbach to form the Delta Jets in a 12-year partnership. The a duo that traveled regularly to Chicago and the upper Midwest, earned a spot in the 2007 International Blues Challenge in Memphis and gigged regularly in Chicago. Their live album, recorded in 2010, was ranked No. 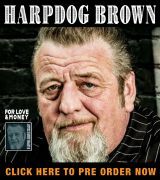 38 in Real Blues Magazine’s top discs of 2011. 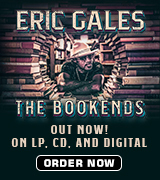 Anderson has several other solo discs to his credit, always delivering an interesting original take on Delta blues while varying his performance between electric and acoustic instrumentation. An accomplished multi-instrumentalist, Anderson accompanies himself here on 6- and 12-string guitar, dobro, banjo, piano and keyboard music box as he weaves his vocal message, a musical journey that covers the past 50 years of his life. His only assistance comes from Bob Balsley, who contributes lead guitar on one tune and David Will, who provides vocal harmony on another. A warm finger-picked intro kicks off “Twenty Dollar Bill,” which delivers a list of what a double-sawbuck would get him in the old days: a trip to the local house of ill-repute, a drinking session with friends or a trip to Florida to see the setting son, among other things. Anderson’s voice varies between crystal clear and smoky, and his guitar stylings are warm and crisp. “There Goes The 400” provides imagery of a train traveling from Chicago to St. Paul along with a memory of his brother Neil and grandfather. A large gallery of family photos make up the centerfold of the CD packaging. “Lookin’ For Woody Guthrie” is a minor key reverie about riding the rails amid fights with hobos as he searches for the folk legend. The sprightly “Old Porch Swing” is a percussive blues tinged love song full of pastoral imagery. Next up, “The Hit (1938)” borrows images from Anderson’s love for Raymond Chandler and Dashiell Hammett as it delivers a dark, but upbeat tale about getting away with gunning down someone in the street. Balsley takes over lead guitar duties for “Yes I Do,” a sweet blue love song, before the pace slows for “Me And You, You And Me,” a vocal flashback to the ‘20s, complete with canned static for effect. The straight-ahead blues “Watch The Sun Come Up” provides more familial imagery, leading into the banjo-fueled “I’m Gonna Go,” a plan to meet up with Charley Patton, Robert Johnson, Muddy Waters, Stevie Ray Vaughan and Willie Brown in the Great Beyond with Will adding harmony. “Dreams” features Anderson on piano and guitar and concludes the set with a bittersweet remembrance of a lost true love. Available through CDBaby and Amazon, True Stories is a complete package of warmth and tenderness that delivers on all levels if your tastes run toward acoustic blues. The songs are all tasteful and sparkle with originality, but the feel of the music takes root firmly in the past.